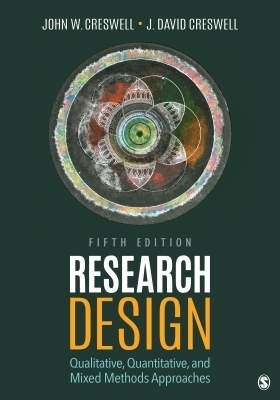 This bestselling text pioneered the comparison of qualitative, quantitative, and mixed methods research design. For all three approaches, John W. Creswell and new co-author J. David Creswell include a preliminary consideration of philosophical assumptions; key elements of the research process; a review of the literature; an assessment of the use of theory in research applications, and reflections about the importance of writing and ethics in scholarly inquiry. Updated discussion on designing a proposal for a research project and on the steps in designing a research study. Additional content on epistemological and ontological positioning in relation to the research question and chosen methodology and method. Additional updates on the transformative worldview. Expanded coverage on specific approaches such as case studies, participatory action research, and visual methods. Additional information about social media, online qualitative methods, and mentoring and reflexivity in qualitative methods. Incorporation of action research and program evaluation in mixed methods and coverage of the latest advances in the mixed methods field Additional coverage on qualitative and quantitative data analysis software in the respective methods chapters. Additional information about causality and its relationship to statistics in quantitative methods. Incorporation of writing discussion sections into each of the three methodologies. Current references and additional readings are included in this new edition.